Is Marcus Evans a Scam? Fraud?? No! [Ed.Note Post updated March 2018] Several months ago (November 9th, 2011 to be exact), I wrote a post about Marcus Evans. For those not familiar with the company, it is a global provider of conferences and summits. According to their website and CEO, the company employs 3000 people and puts out about 2000 events per year. I was incredibly skeptical at first. Their prices seemed to be sky high compared to similar offerings, or so I thought. And the pressure to sign up was rather intense. Coupled with the misinformation floating around the Internet, and I was convinced that Marcus Evans was a fraud and scam. It had to be! Let me be the first to say that I was wrong. Initially I was swayed by some rather disturbing information from purported ex-employees floating around on the web. I say “purported” because we all know how easy it is to make up a profile and post fake news and reviews on various rating sites. Shortly after making my post – you can read it here – I received a call from the CEO of the company. Rather than threatening me about the post, he simply asked if I would travel to Florida at their cost and view a Marcus Evans event, one geared towards lawyers. How could I say no? The only things asked of me were to come down, keep an open mind and observe. The Chief Litigation Officer Summit sponsored by the Marcus Evans organization was earlier this week. Within 5 minutes I realized it wasn’t a scam. Within 24 hours I signed up for the next 2 events (and am paying full price). The company has been running the summits for about 8 years. According to one of their on-site customer service representatives they have an 80% retention rate. I believe it. Most of the lawyers I talked to have been attending 5, 6 and 7 years. In other words, once they go they become lifers. Lest you think the company will take anyone’s money, the event was sold out. They also keep both the total number of attendees and the number of direct competitors quite low. For those not familiar with the “summit,” the Marcus Evans matches law firms with the chief legal officers from large Fortune 100 and international companies. I was skeptical until I met the general counsels from one of the largest insurance companies, a huge steel company, an automobile manufacturer… you get the picture. As a small law firm, I would never get to meet any of these folks. Even if I could, it would take thousands of dollars and months of flying around the country to do what the company does in 3 days. It’s like speed dating but with people from top law firms and billion dollar companies. The cost is very high but everybody I spoke with says the contacts and work they found made the price well worth it. Factor in the time value of money and the opportunity to meet with the top companies from all over the world and the price now seems very reasonable. One lawyer I met, we will call him “AJ,” said he found that conference so beneficial that when his firm wouldn’t pay he started shelling out the $50,000 attendance fee from his own pocket. How many people can say they like something so much that they will pay $50,ooo? Lest anyone think that I have become a cheerleader for the company, I haven’t. The posts from the purported ex-employees still disturb me. (The employees I spoke with all seemed genuinely happy, however.) A few attendees told of me of others that went and didn’t get the meetings they anticipated or never received work. There are no guarantees, obviously, so $50,000 is a great deal of money to spend if you get nothing out of the process. The “veterans” I spoke with all say that you have to be really good to land work with Fortune 100 companies. If your team can’t handle the work or isn’t ready to deliver their A game, don’t go. No amount of money can help you get work if you can’t make a good impression. This is the first time since blogging (600 posts later) that I have delivered a mea culpa – The product from Marcus Evans and their staff is outstanding. If anyone wants more information, feel free to call me. Post script – Three events later I am still getting business from the summits. Yesterday (March 13, 2018) I flew back from my third Marcus Evans event. And I am still satisfied. It had been a few years since I last attended so I thought I would go back. Let me share the reasons why I continue to be a paying customer. My first paid event (2012?) netted me no clients. At least not at first. That was my fault, however. The companies you meet at a Marcus Evans summit are big, household names. One of the companies looking for legal services this week was WalMart. Can a 9 lawyer boutique shop headquartered in Milwaukee get an exclusive one-on-one audience with the general counsel or chief litigation officer of a trillion dollar company? Not in my wildest dreams. But Marcus Evans can. So what does that have to do with the poor results from my first conference? Plenty. You aren’t pitching legal services to the corner bank or a local developer. You need to be on your absolute “A” game and have your elevator speech down pat if you want to compete with the big boys. Fast forward to my second conference and I was ready. We actually paid to bring a second lawyer so we could make the best use of the many networking events. And we scored. Ironically, it was a company we met during our first summit that became our first Marcus Evans related client. Success shouldn’t just be measured by fee revenues (although that is certainly key). There is a hard to measure “street creds” value to landing a big client. All of sudden I wasn’t just another one of the dozens of Milwaukee small firms competing for the same crumbs. We are now a national boutique with big, Fortune 500 clients. Keep those clients happy and they will keep coming back year after year. It took 6 years for me to come back but nothing has changed. The attendees are still happy, still getting business and the events still first class. There is no “upsell” (except perhaps to bring a second person with you to a future event), no pressure and as one attendee described it, no “cultish” vibe. It’s just big companies with a genuine need for legal services. 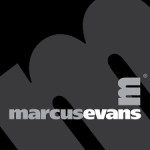 If you are one of the lucky ones to get a call from Marcus Evans, consider it a blessing. The cost is high – very high for small firms – but how else can you get 12 to 15 one-on-one meetings with national and international companies looking for legal help? Six years later and I still can’t find a way. Once again, I am happy to speak with anyone considering going.